The Legal and Investigations team provide both casework and investigation services. NICCY legislation outlines when we can provide assistance to children and young people. 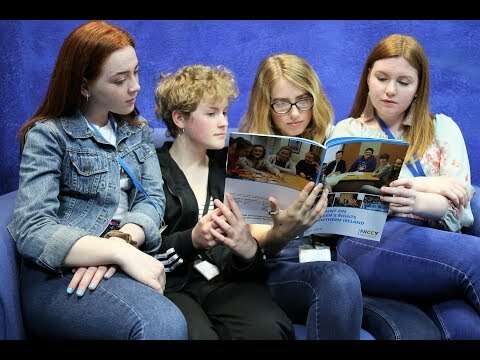 Article 11 of The Commissioner for Children and Young People (NI) Order 2003 states that we may provide assistance to a child or young person in making a complaint to a relevant authority that their rights have been infringed or their interests adversely affected by the action of that relevant authority. However, this article goes on to state that the Commissioner shall not provide such assistance unless there is no other person or body likely to provide such assistance. It has been our experience that many of the issues we would have dealt with in the past could be dealt with by other agencies so we have moved away from taking these complaints, signposting instead to a more appropriate person or body to assist the child or young person. This means that going forward we are unlikely to deal with many cases where we previously provided assistance to a child or young person making a complaint to a relevant authority. There will always be unusual cases where we do not believe anyone else provides assistance and we will continue to assist with these. However we will now be providing more of our service under Article 12 of the Order instead. You can find out more about our casework here. Article 12 states that the Commissioner may conduct an investigation into a complaint made by a child or young person (against a relevant authority) that their rights have been infringed or their interests adversely affected by the action of a relevant authority. For a complainant this means that we can deal with such complaints but they must have already complained to the authority and exhausted any complaint mechanism available to them before referring the matter to us. If we decide to investigate the complaint we will do so on a neutral basis, being neither an advocate for the child, nor an adversary of any authority complained about. Any investigation with be carried out on an impartial basis. When complainants contact us they shall be sent an initial complaint form to complete and return. When the form is returned to us the complaint shall then be considered to ascertain if it falls within NICCY’s remit. The complaint will then either be processed as a casework complaint, an investigation, a SENDIST matter or a legal case. We anticipate that most complaints will now be treated as investigations. In some circumstances we will conduct a full formal investigation as outlined in our legislation. Investigations booklet - We have a guide to NICCY investigations which you can view here. We shall continue to provide legal funding and interventions where appropriate. You can find out more here. If you have any questions on this criteria please contact a member of the Legal and Investigations team here.